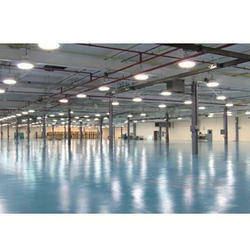 Industrial Epoxy Flooring : Our range of Epoxy Flooring provides higher abrasion resistance to the surface. These are very easy to clean and wash the coatings. We offer these at industry leading prices. Our range can be customized as per the clients’ provided specifications. 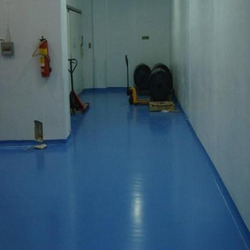 Owing to our rich industry experience and in-depth market knowledge, we have emerged as the leading manufacturer and supplier of Epoxy Flooring products. By using top notch quality raw material and ultra-modern technology, we manufacture these products in conformity with the international standards. Apart from this, the offered range is stringently checked on various parameters under the supervision of our quality inspectors. Dubond Epoxy Prime FS is two component epoxy based primer with good adhesion properties. It is epoxy zinc phosphate primer for iron surface. 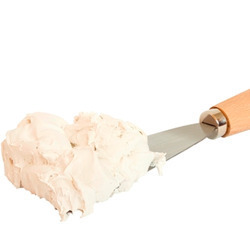 It improves the bond of epoxy toppings with iron surface. Protects iron surface from corrosion. Substrate: suitable for priming iron surface prior to application of any of the Dubond range of epoxy flooring products and protective coatings. Our organization hold expertise in providing superior grade 3D Flooring in Bengaluru, Karnataka, India. 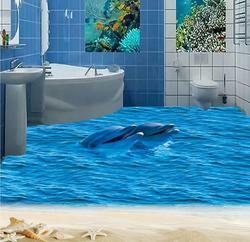 Our offered 3D Flooring is widely appreciated by our customers, which are situated all round the nation. 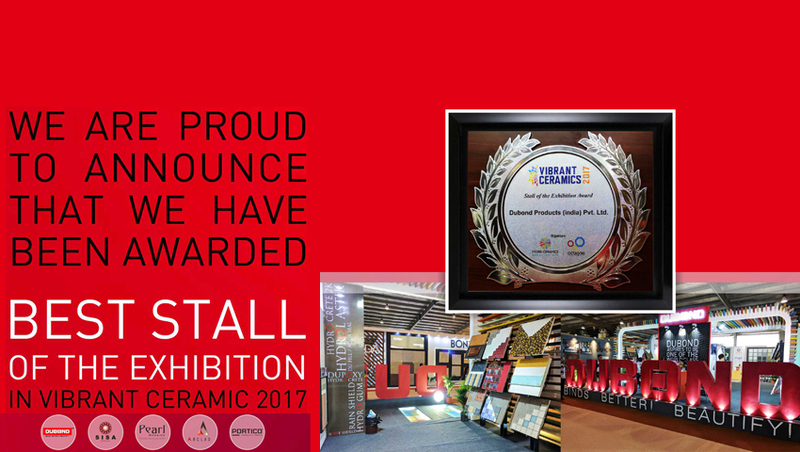 Known for its best quality, clients can avail this 3D Flooring at industry leading prices from us.For Residence, Hotels, Resorts, Offices etc. 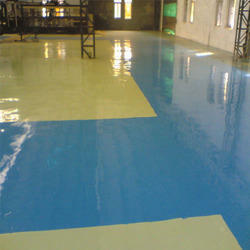 We are highly reliable distributor and supplier of 3D Epoxy Flooring in Ahmedabad, Gujarat, India. 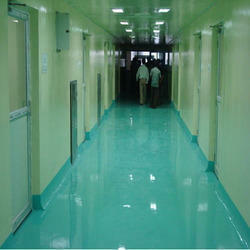 The offered 3D Epoxy Flooring is widely loved and demanded by clients for its exclusive quality and design. 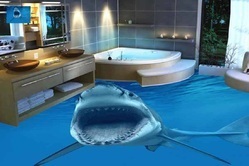 A unique concept to decorate your flooring in style. Available in best market price. Dupoxy coating TCS 100 is a three component high solid epoxy resin coating system supplied in pre weighed packs packs ready for onsight mixing and use. The cured film forms a hard smooth finish, jointless, non porous hygienic, durable coating with excellent adhesion to clean concrete sand cement and granolithic screeds. 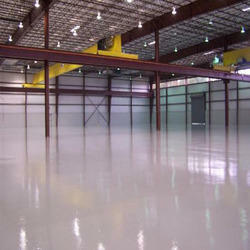 Dupoxy Prime SFD: used for Epoxy Flooring is the Epoxy Primer for concrete surface is a 100 % solids, low viscosity, epoxy for use in restoring concrete floors and concrete surfaces prior to application of new toppings or as a "stand alone" sealer. THIS PRIMER ensures strong adhesion between an epoxy topcoat and the substrate. It may also be used to bond new concrete to old concrete. It has good penetrating properties in concrete. 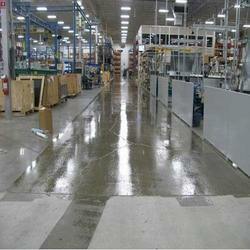 Improves the adhesion of epoxy floor toppings coatings and epoxy mortars with substrate. It is suitable for priming concrete surfaces prior to the application of any of the Dupoxy SL and SC range of resin based floor toppings, Dupoxy TCS & TC range of protective coatings or Dupoxy Putty repair mortars. Improves the adhesion of epoxy floor toppings and epoxy mortars with the substrate. Packaging: Dupoxy Prime SFD is available in 1, 2.5 & 5 kg packs. Coverage: Dupoxy Prime SFD - 6 - 8 m / ltr. Epoxy Coving offered comprise cove base moldings and come pre-formed with dovetail interlocking bond channels. 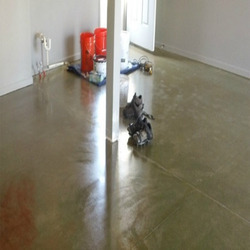 Epoxy Putty offered comes in superior constitution support and with superior resistance to occurrence of cracks, frost. We take enormous pleasure to present ourselves as the noticeable manufacturer, exporter, distributor, trader and supplier of Epoxy Putty in Gandhinagar, Gujarat, India. Epoxy Putty offered comes in superior constitution support and with superior resistance to occurrence of cracks, frost. Epoxy Industrial coating:Dubond’s Dupoxy Coating TCS- l00 is athree-component high solids, epoxy resin coating system supplied in pre- weighed packs ready for on-site mixing and use. The cured film forms a hard, smooth finish, jointless, non porous, hygienic, durable, coating with excellent adhesion to clean conc rete, sand/cement and granolithic screeds, and certain metal surfaces. 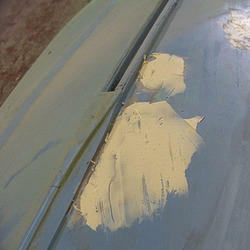 It cures to semi-gloss impervious finish which is easily cleaned. The product is available in a(RAL)colours and is also available in aclear grade. To provide a durable, easily cleaned, high build floor finish in areas where a hard wearing, high resistance to chemical attack is required . It is particularly suitable in areas where athicker coating is required, such as. • Soft drinks production and bottling plants. • Showrooms / Hospital / Hotels. • Very hard wearing - durable , low maintenance costs. • High resistance of a wide range of industrial chemicals. • Hygienic - Impervious finish provides easily cleaned surface. • Attractive - Available in a range of colours to improve the working environment. Epoxy Self Levelling offered comes in qualtity constitution finish and can be applied over concrete floors to create durable, low maintenance flooring surfaces.